Trying to get the energy to get everything done on your to-do list and still have time to take care of your mind and body can sometimes seem impossible. Everyone knows what it’s like to have so much on your plate that you’re exhausted, or that your own health becomes less of a priority. Luckily, maca can help with all of this. Maca powder is super easy to add to your diet and has proven benefits for both your health and your energy levels. Maca is a turnip-like vegetable that grows at extremely high altitudes in the Andes Mountains. Its root can be ground into a powder that can be incorporated into all different kinds of foods. Omega-3 fatty acid, a high level of which is found in maca, help support brain function, mood, and overall brain health. The vitamins and other nutrients in maca root have been proven to be a natural energy enhancer. This means a drink with maca powder can serve as a pick-me-up and allow you to have more energy throughout the day. Maca is especially beneficial for women. The protein can even help maintain bone density and fight against osteoporosis, which is a common problem for many women as they age. If you’ve never been a fan of smoothies before, or have never tried them, now is a great time to start. Smoothies are a healthy and easy way to reap the benefits of maca root, as well as lots of other nutrients. They are made simply by blending fruits and vegetables in a blender, along with milk, yogurt, or ice cubes, in order to create a refreshing, cold beverage. Some people might be wary of trying smoothies because they sound unhealthy, or don’t seem filling enough for a complete breakfast or snack. However, smoothies can be mixed with ice cubes or low-fat yogurt or milk so that you won’t have the need for unhealthy ingredients. If you mix in at least one full serving of fruit, smoothies are more than enough to keep you full and ensure that you’re getting all the nutrients you need. 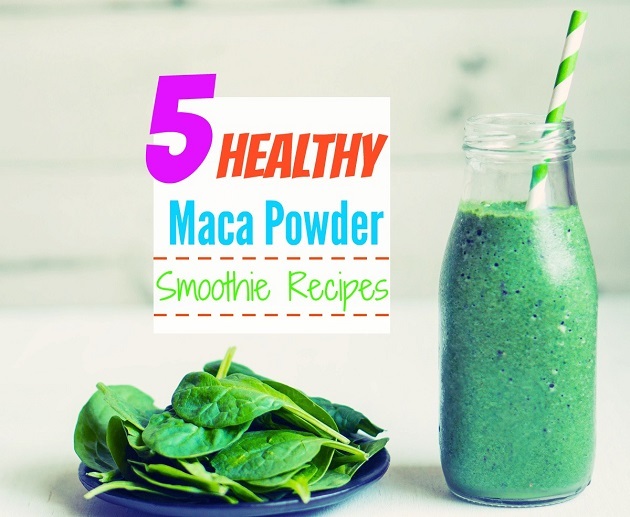 Maca powder has been known to have a nutty or caramel-like flavor that combines well with all different kinds of foods, so you’ll have tons of smoothie options no matter what you like. 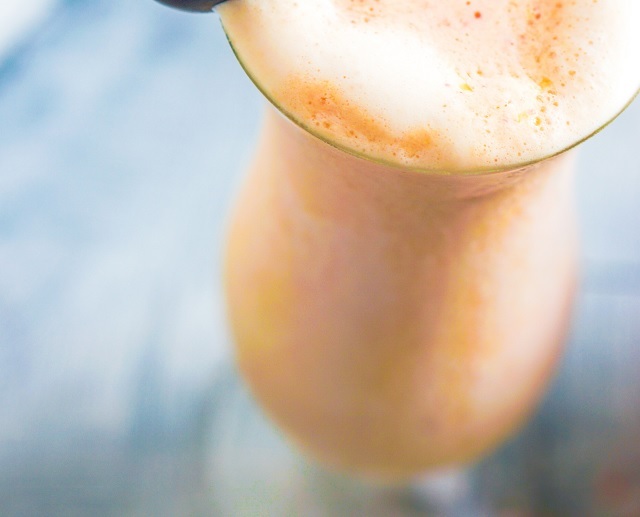 All of these smoothie recipes have only a few ingredients along with the maca, and very few directions, so that you’ll have time to make them no matter how crazy your day gets. Many of these recipes make more than one serving, so you can even save the rest in the refrigerator for the next day. With these delicious and easy smoothies, you won’t have any problem at all incorporating maca root into your diet! This recipe is extra healthy because it also includes blueberries, which are filled with antioxidants. 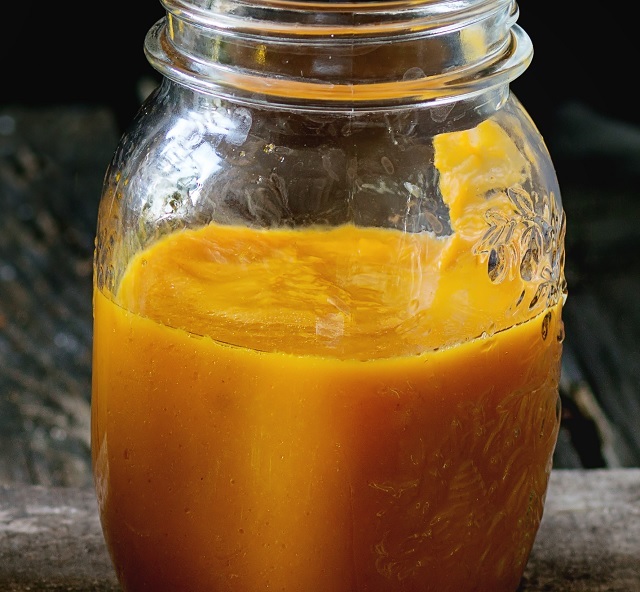 This is a great choice for a snack to make in the middle of the day, since the recipe only takes a few minutes to make and it will ensure that you’re getting the nutrients your body needs even during the busiest parts of your day. Combine blueberries, maca powder, bananas, and almond milk in a blender. Blend until smooth, adding water or more almond milk if necessary. Add cinnamon and vanilla extract to taste, blend again. This smoothie recipe is especially great because it only has five ingredients that are blended all at once, so it only takes a few minutes to make! This is the perfect breakfast smoothie. It’s filling, and the bananas combined with the maca powder will boost your energy and make you feel ready to take on the whole day. If you want to make it even healthier, substitute with plant milk and all-natural peanut butter. 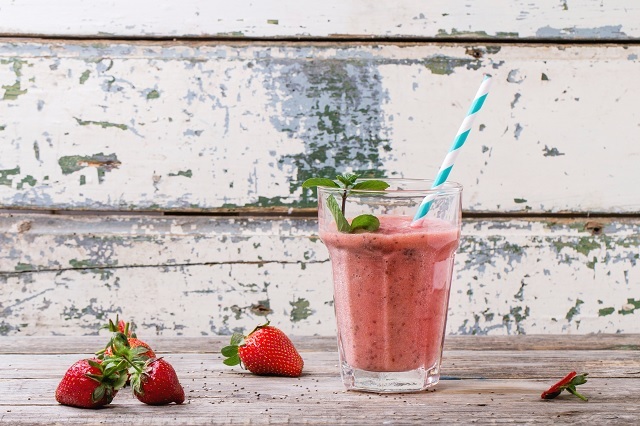 With strawberries, vanilla extract, and vanilla almond milk, this will almost taste more like an ice cream treat than a nutrient-filled smoothie. This is the perfect drink to have at the end of the day when you’re in the mood for something sweet. Combine all ingredients in a blender, then process until completely smooth. Add more almond milk if the smoothie is still too thick. 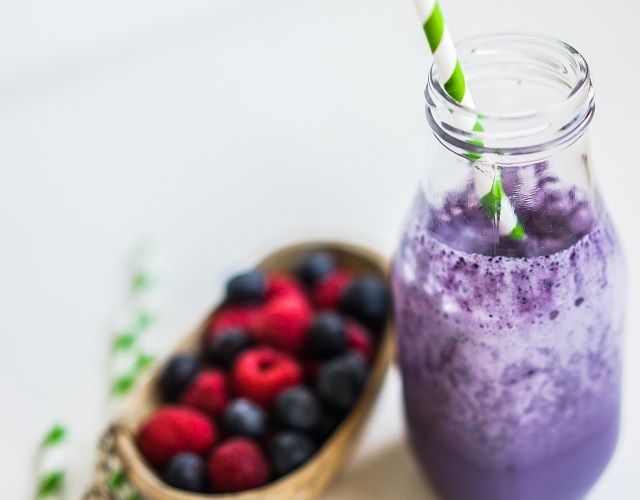 (recipe is from Healthy Smoothie HQ, 7) If you’re a fan of using protein powder along with a workout, this smoothie is one way to make it taste better and incorporate it with lots of other nutrients. Chia and flax seeds are great sources of antioxidants and omega-3 fatty acids. This smoothie also has a very neutral taste, which means there are lots of possible add-ins to get all the same benefits with an even better taste. One option is to add half a cup of frozen berries for more flavor. You can also add cacao powder or use chocolate flavored protein powder to make this into a healthy chocolate smoothie. No matter what time of day you like to work out, this is the perfect drink to replenish your energy after you’re done. Blend all ingredients in a high-speed blender, including any add-ins of your choice. Smoothies don’t have to be cold! This warm blended smoothie is comforting and energizing all at once, and is a good winter morning pick-me-up instead of a cup of coffee. Put all ingredients into a saucepan and warm over low heat, making sure it doesn't get hot enough to bubble. Gently stir to combine. Pour mixture into a blender and whip until frothy. 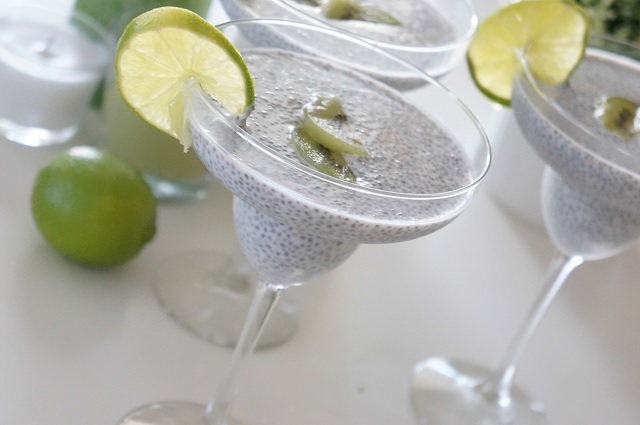 Top with cinnamon or extra chia seeds. There are all kinds of health and energy tips out there, but these recipes are easy and maca powder has been proven to work. If you’re finding yourself low on energy or needing more nutrients in your diet, this is the action you can take now! Enjoy how much better you start to feel!